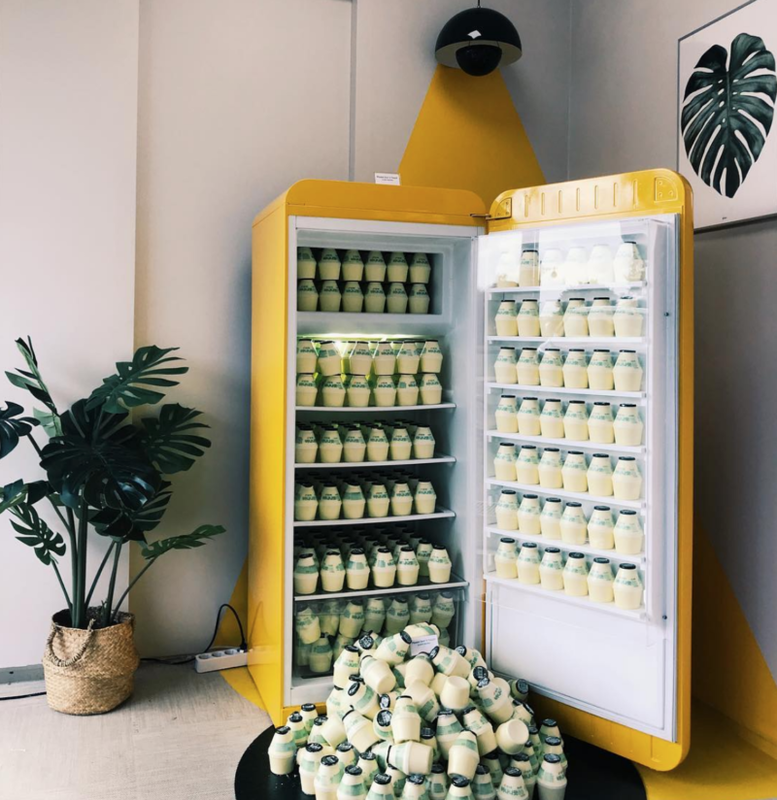 HomeFeatureLove The Banana Milk? Now There’s A Brand New Season-Edition Tangerine Flavored Milk! 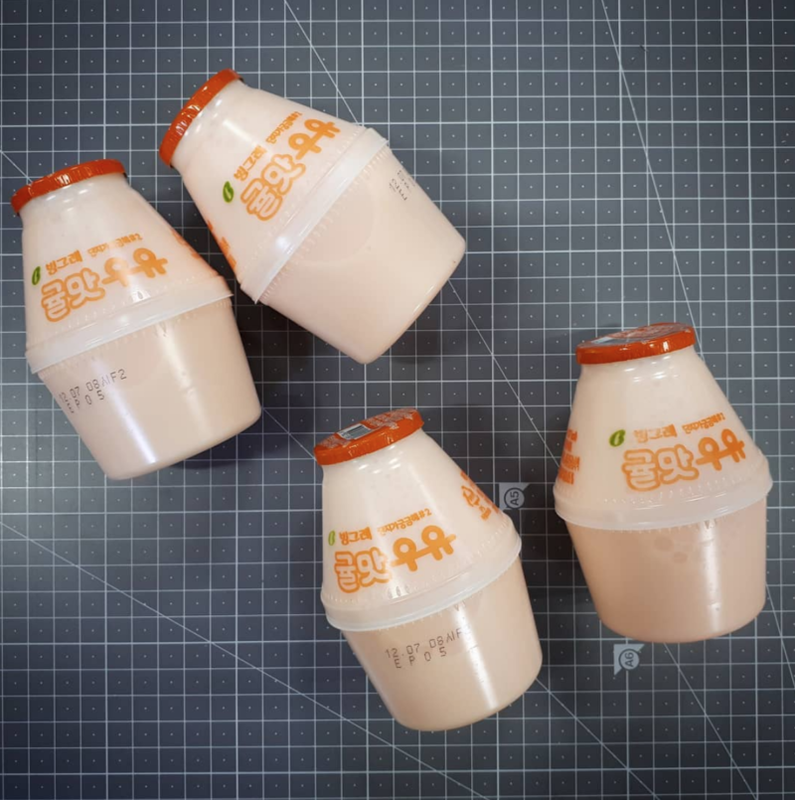 South Korea’s popular dairy manufacturer, Binggrae, has newly launched their brand new season-edition flavored milk on 28 November and it’s Tangerine flavored! 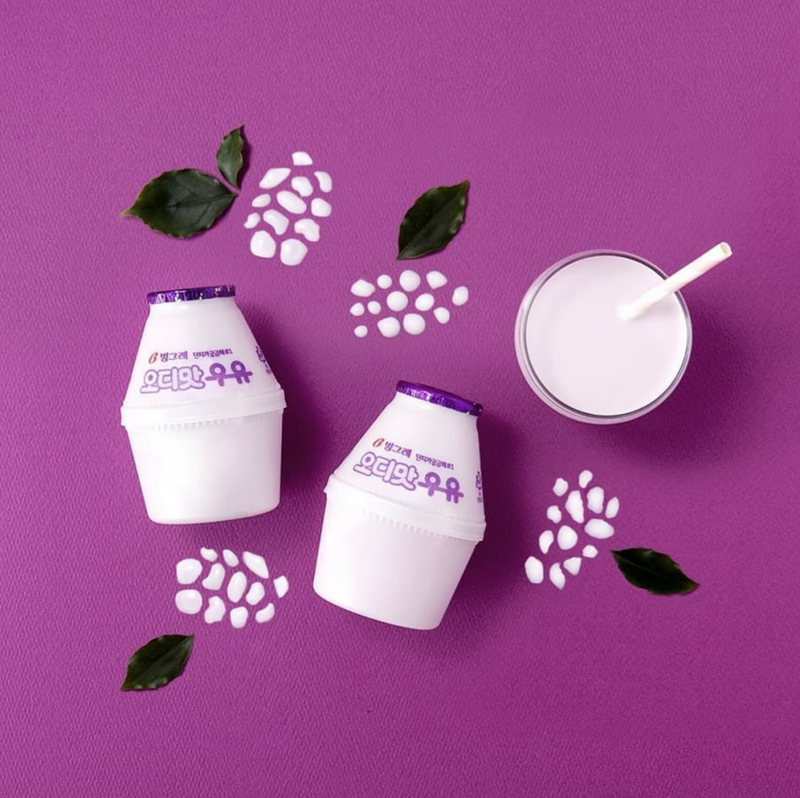 Just like the Mulberry flavored milk that was released earlier this year, this new flavor is one that has never been explored by other manufacturers. 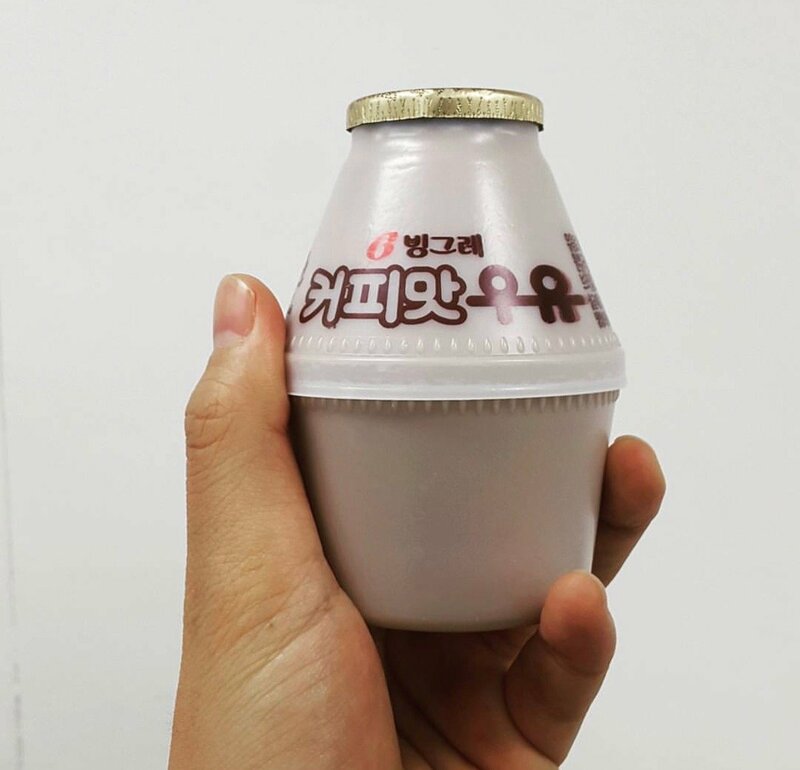 Binggrae is most well-known for their iconic Banana flavored milk, and till today it is still well-loved by many. Did you know that its Banana flavored milk had gone through 5 different classic packaging (excluding seasonal designs) since 1974? 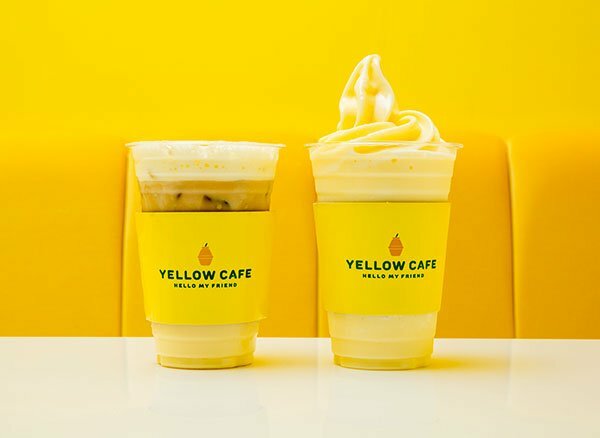 Did you know that there is a Yellow Cafe in Seoul inspired by the Banana Milk itself? 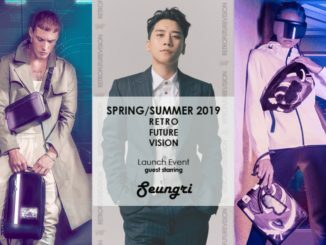 In fact, there are two of these themed cafes in South Korea launched by Binggrae — the flagship cafe is located at the Hyundai City Outlet along Dongdaemun district (Seoul) and the other branch is situated in Jeju. You can find all things related to the Banana Milk at the cafe, including cute accessories, merchandise, and even banana milk-scented oil diffuser! Both cafes spell interior goals, with every corner a good spot for photo-opportunity. What’s a trip to the Yellow Cafe without trying some of their signature items on the menu? 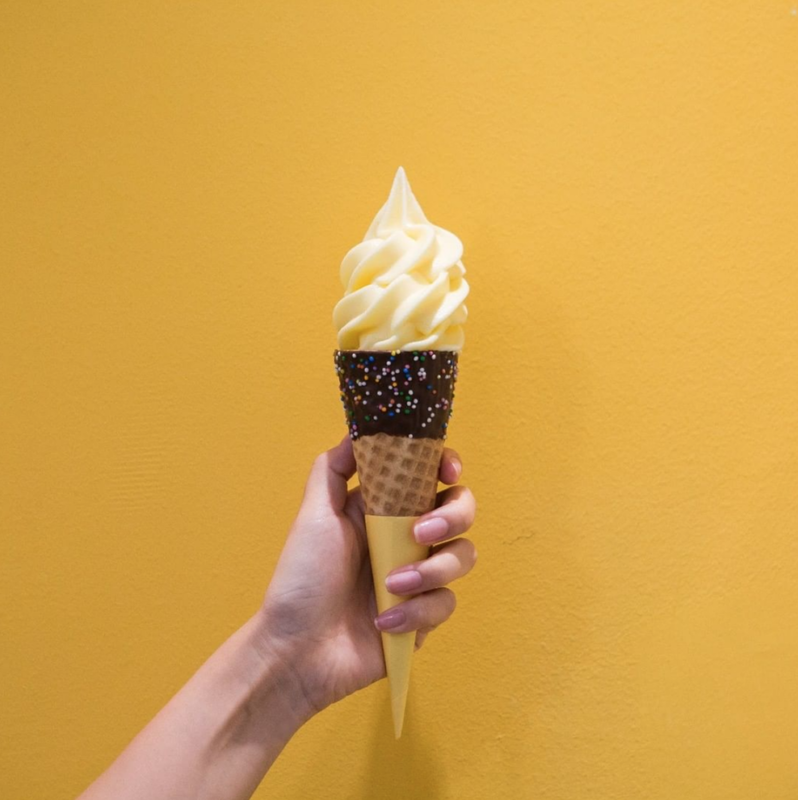 It’s a must to try the banana milk soft-serve ice-cream, one of the most popular items they offer at the cafe. Everything here is banana milk flavored, though there are also other seasonal products made with strawberry milk. You name it, they (may likely) have it! 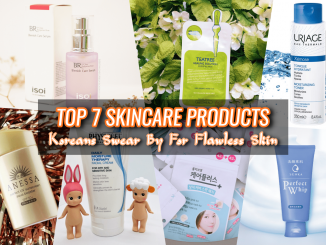 Banana latte, banana milkshake, banana toast, banana tiramisu, etc etc. You’ll literally go bananas here!